Yes, you can go all out, and people will love seeing your photos on social media but don’t let the promposal stress you out. 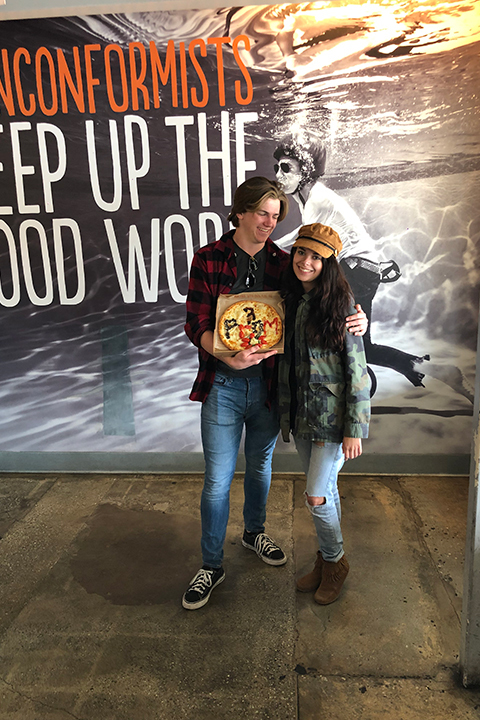 Flowers, sweets, pizza, balloons or something home made (food and poster board promposals are very budget-friendly) will all get the job done. 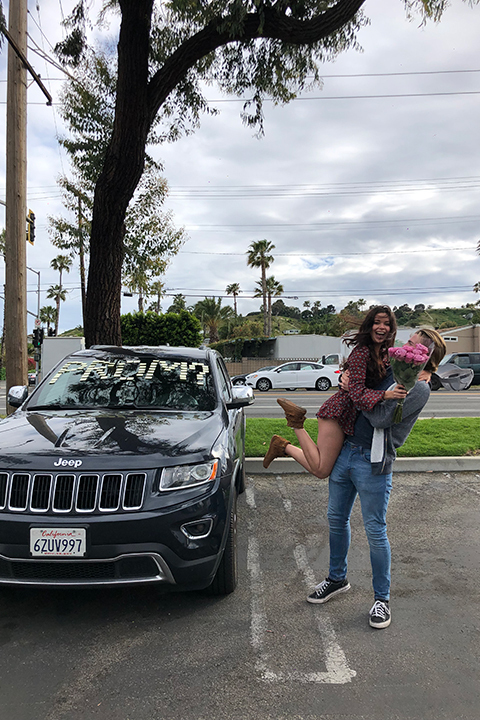 For Promposals and ideas of how to ask a girl to prom, we recommend doing it the old fashioned way, searching on google or Instagram @the.promposal, #promposal #promposals… You can always take an existing idea and add your own personal twist to it. Prom tickets: there is no way around paying for these! But the price may increase as prom gets closer so buy them early for the best price. Tuxedo/suit: you can buy or rent your look and at Friar Tux we make it easy by offering all accessories and also doing the tailoring and pressing for you. Hair cut: depending on your hair style, you’ll want to get a haircut as early as 2 weeks before prom or as late as the day of prom. Just have a plan and don’t leave your hair up to chance. Dress, jewelry, accessories, hair, nails & make up: it’s good to be a guy and not have to mess with all this, are we right? Good luck ladies! Lots of things are more fun for prom when you have a group, namely photos, transportation and dinner. Your prom group can be couples, friends or a combination of everything. Prom is a life milestone that should be enjoyed with all the important friends you’ve grown up with. Many businesses will book up so plan as far in advance as possible. 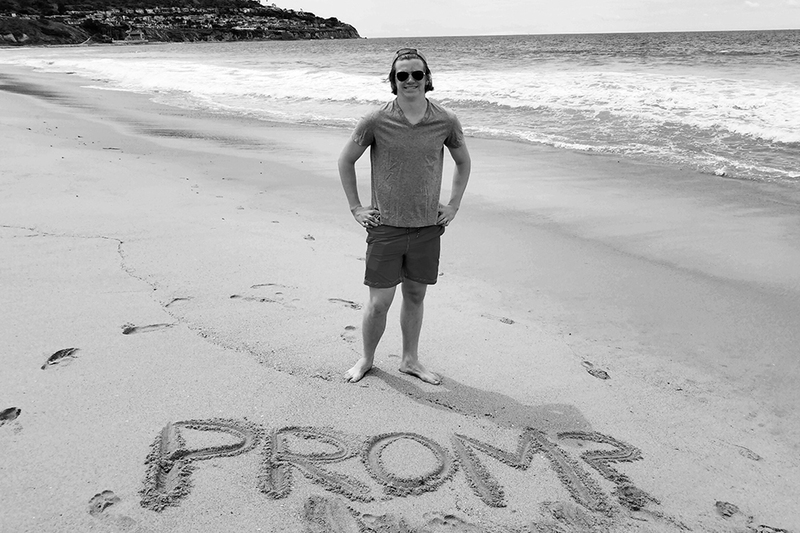 We recommend choosing your prom tuxedo or suit at least 2 weeks in advance, if not earlier. Consider how you’ll split up costs, who your prom group will be, schedule photos all of the parents. Also plan your prom looks. Many times, a girl will choose her dress first and then the guy will choose his prom tux. But if the gown will be a neutral color like black, silver, gold etc. then really any tuxedo will match with it. And we also allow people to change their tie color up until about 10 days before prom. We recommend bringing in the gown or a swatch of the gown if you are trying to match the color. 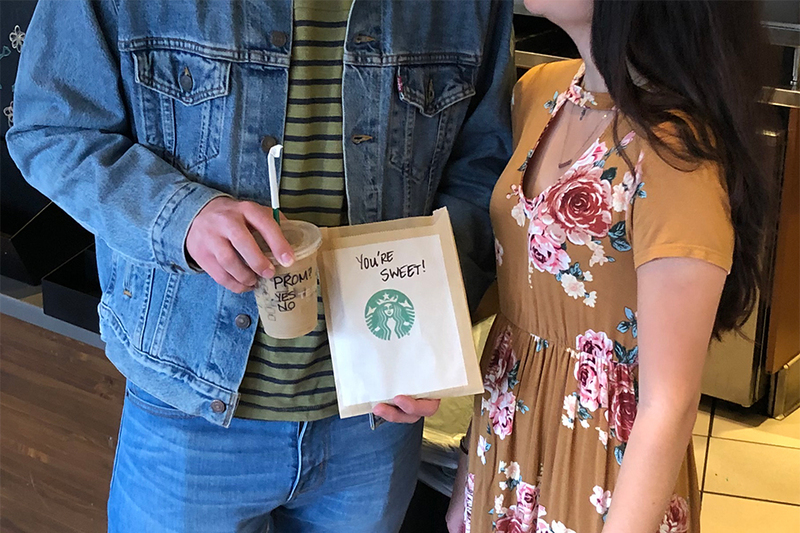 Your parents are very excited about seeing you go to prom so try to involve them as much as possible. From getting ideas from them about dinner, flowers, photo locations to even letting them weigh in on your look, they will really appreciate being included. And they will want to take A LOT of photos, we know from experience. 7. Have Fun & be Safe! You’re smart and know what this means. Just make good choices as you close out your high school years and move onto the next chapter in your life! Come into one of our stores to work with a personal Stylist, no appointments needed for prom, we take all prom customers on a first come first serve basis. 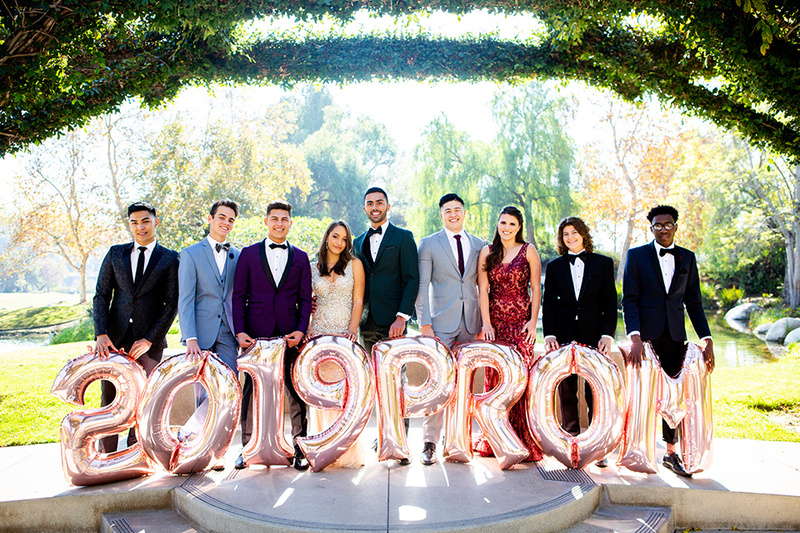 Your Stylist will show you over 60 styles of suits and tuxedos to rent/buy and collaborate with you to find your perfect prom look. Next, your stylist will take your size info by having you try on garments and take some measurements. Your order is then set up in our computer system to be ready before your prom date- the exact date it will be ready depends on how early you place the order. You can pay in full or leave a $20 deposit. Come in to pick up your order and try it on in store or take it home to try on. You’ll have to pay for your order before it can leave the store. We don’t charge sales tax on rentals and we don’t charge rush fees! Return your order the day after prom, anyone can drop it off for you. Remember to check your pockets!! Everything is barcoded so we’ll do a quick scan in and you are set.